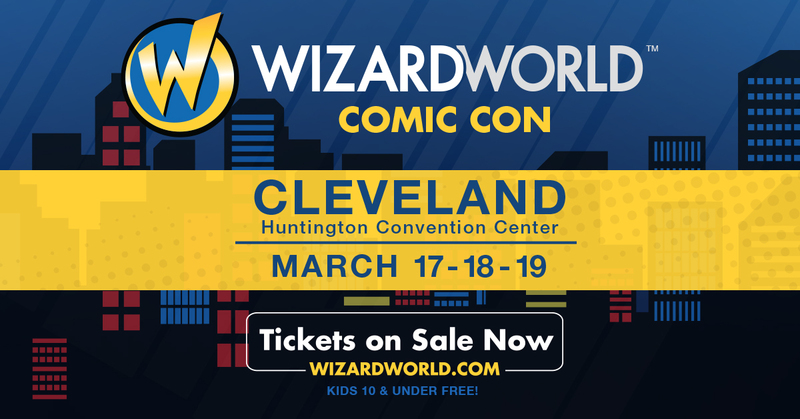 From TV magicians “Masters of Illusion” to puppet shows, jugglers, music, jedi performances and personality Kato Kaelin to a varied lineup of exciting dance, music, art and other options, Wizard World (OTCBB: WIZD) today announced the highlights of its new non-stop entertainment lineup at Wizard World Comic Con Cleveland, March 17-19 at the Huntington Convention Center of Cleveland. The initiative, designed to keep the show floor buzzing throughout the weekend, will feature national and local acts of all kinds, allowing fans to enjoy more of the best of pop culture during the event and into the evenings. ● Steel Drum Performance by Scott and his Band on Saturday evening. Scott offers a wide range of musical styles from Jazz, Latin, to Top 40, and Reggae. ● An array of Kids programming all day Saturday and Sunday, including costume contests both days! The entertainment offerings supplement a top-flite celebrity lineup which include Anthony Mackie (Avengers, Captain America), Gene Simmons (Lead Singer, KISS, "Gene Simmons Family Jewels"), Millie Bobby Brown ("Stranger Things"), Jennifer Carpenter ("Dexter," "The Exorcism of Emily Rose"), Loren Lester and Kevin Conroy of "Batman: The Animated Series." and others. The event marks Wizard World’s third annual show in Cleveland and the third on Wizard World’s 2017 calendar. Additional events in conjunction with Wizard World Comic Con Cleveland include “An Evening with Gene Simmons and his Band” (Saturday, March 18, Agora Theater, 8 p.m.) and a screening of The Rocky Horror Picture Show hosted by the film’s star, Barry Bostwick, at the Convention Center on Saturday at 8 p.m. These performances require an additional admission available on site or at www.wizardworld.com. 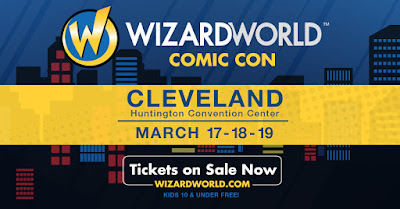 For more on the 2017 Wizard World Comic Con Cleveland, visit http://wizd.me/ClevelandPR. The Wizard World 2017 schedule is available at: http://wizardworld.com/comiccon.